In this Article I am going to discuss about "Dependency injection" on which I am working and exploring. In this article I am going to discuss about what is dependency injection and why there is need of this software design pattern. In above code class client creates NeedDependencyClass and use it, then class NeedDependencyClass consume service of class DependencyClass to perform task i.e. class NeedDependencyClass is depend on class DependencyClass to perform task. This kind of the code is hardcoded dependency. Image above shows the representation of creation and use of the objects. Class NeedDependencyClass itself responsible for creating its own dependency. Code is tightly coupled, because dependency cannot be replaceable. Code also violate “Open Closed” rule of SOLID principal which says that "software entities (classes, modules, functions, etc.) should be open for extension, but closed for modification". Because do changes in the Test method I need to modify DependencyClass. Testing of Class NeedDependencyClass becomes difficult as I cannot replace Dependency class DependencyClass with other dependency. Dependency injection is software development pattern which introduced to resolve above problems. Definition of this pattern is: Remove hard coded dependency and make it possible to replace at run-time or compile time. In following section I am going to describe how problem listed above get resolved with the Dependency injection pattern. Resolution to the first problem of code above, pass the responsibility of supplying all required dependency to the first in dependency graph i.e. client class which is first class of the dependency graph. Image below shows object creation only done by client class object and others class down the line use supplied defendant object. To understand the second problem better way, let’s consider with the real life scenario of Computer or laptop. As you can see in the above image we have the port for each device external device to which I can associate external device and do our work. But problem with this is I cannot attach my keybord on printer port and vice versa, same problem occurs with the other devices. So this is like tight coupling that I cannot change my external device on the give interface i.e. on which I am depends. 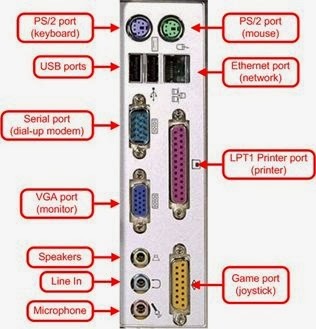 Solution to this is USB port. 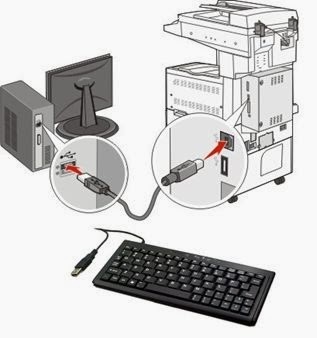 If I have USB port than I can easily attach any device to my machine and perform my task. This will give compiler error because I am trying to pass DependencyClass1 object as parameter. So this means Class NeedDependencyClass cannot accept any another class than Class DependencyClass. Image below shows DependencyClass object creation only done by client class object and others class down the line use supplied dependent object. And class NeedDependencyClass is depends on the interface IDependencyClass, which can be implemented and replicable by any new class DependencyClass. Now there is requirement like only authenticated user of the application can run Test method in the application, than developer of the class need to modify the Test method like this. That’s violate SOLID principle “Open Close” which says "software entities (classes, modules, functions, etc.) should be open for extension, but closed for modification". So to avoid it same as make use of the abstraction i.e. create interface as which already done for to resolve tight coupling, so class extension can be done easily. Below is how to extend the code that doesn’t break “Open Close” principle. As you see in above code new class is created with the name SecureDependencyClass. This class extends the functionality of the previous class and also not breaks “Open Close” principle. This is done by injecting exiting class DependencyClass in the new class SecureDependencyClass i.e that is also example of Dependency injection. So SecureDependencyClass consume dependency DependencyClass. Image below shows SecureDependencyClass object creation only done by client class object and others class down the line use supplied dependent object. And class NeedDependencyClass is depends on the interface IDependencyClass, which can be implemented and replicable by any new class SecureDependencyClass. This also shows the NeedDependencyClass is not dependent on specific class but on the Abstraction. Now once the second step class NeedDependencyClass easily becomes testable. Because problem with original code is hardcode dependency that is not replaceable. As per the code Test method of the class DependencyClass does connection with sql server and return value. But for testing of the class NeedDependencyClass there is no need to perform expensive database connection. So we replace class DependencyClass with the TestDependencyClass class like as below.